The hospitality sponsors of the fourth “Santorini Experience”, a leading sports tourism event in Greece, are offering special accommodation prices to participants for stay on Santorini for the October 5-7 period. The hospitality sponsors for this year’s event include Santorini Hoteliers Association, Meltemi Hotels & Resorts, Aqua Vista Hotels, Athina Luxury Suites, Santo Maris Oia Luxury Suites & Spa, West East Suites, Desiterra Luxury Suites & Villas, 270 Oia’s View, Central Fira Hotel, Fanouris Condo, Monolithia, Casa Iphigenia, Sienna Resort. 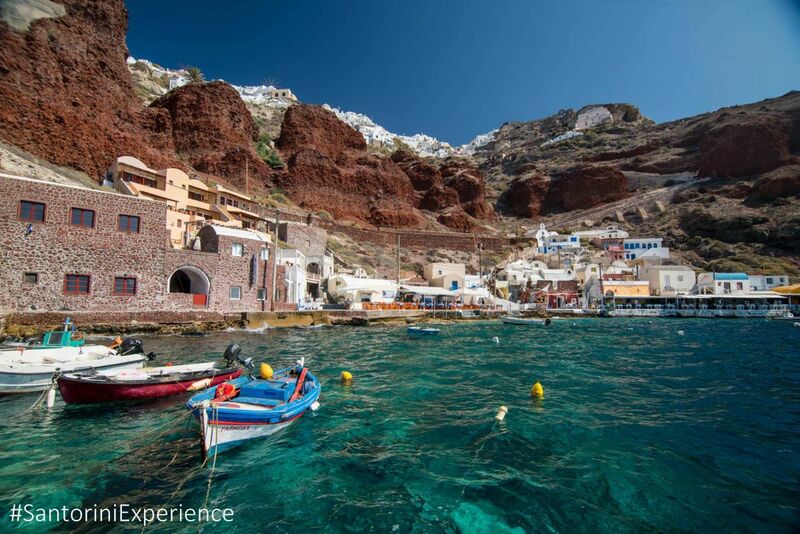 Registrations for the “Santorini Experience” close on August 31. To register press here. Santorini Experience: Oia in October. Photo by Elias Lefas. By air: Ryanair, the official airline partner of the event for the third consecutive year, will offer privileged fares for flights to Santorini. Fares are expected to be announced soon. By ferry: Greek shipping company Blue Star Ferries is offering a 50 percent discount on ferry tickets for passengers and vehicles to Santorini from October 1 to 12. Those who have completed registration are entitled to the same discount for three extra people (for escorts) or for four people (for family members). The official travel agent of the event VitaNTravel will take care and assist all athletes and escorts with information about the ferry routes, ferry tickets, car rentals and accommodation on the island. A special accommodation package has been prepared for the October 5-7 period that includes a two-night stay with hotel accommodation, Blue Star Ferries ferry tickets in economy class for the itineraries: Piraeus – Santorini (5/10) – departure: 07.25 am/arrival: 14.55 pm and from Santorini – Piraeus (7/10) – departure: 15.30 pm/arrival: 23.25 pm. Extra transfers from the hotel to the event venues are included. The price of the special package starts from 130 euros per person. For more information press here, or call +30 2103249070. The official sponsor of “Santorini Experience”, for the fourth consecutive year, is Ford Motor Hellas and the official supporter of the event in once again natural mineral water “Vikos”. Santorini Experience: Open water swimming event. Photo by Loukas Hapsis. Also, for the first time, the Hellenic Recovery Recycling Corporation (Herrco) will assist the “Santorini Experience” event. In cooperation with the Municipality of Santorini, Herrco promotes recycling on the island. Sponsors of the event include Alafouzos Sport and Athina Luxury Suites. Official supporters are Avance, Santorini Hoteliers Association, Meltemi Hotels & Resorts, Aqua Vista Hotels, Santo Maris Oia Luxury Suites & Spa and Boatmen Union Santorini. National Geographic is for one more year a Strategic Partner of the event. 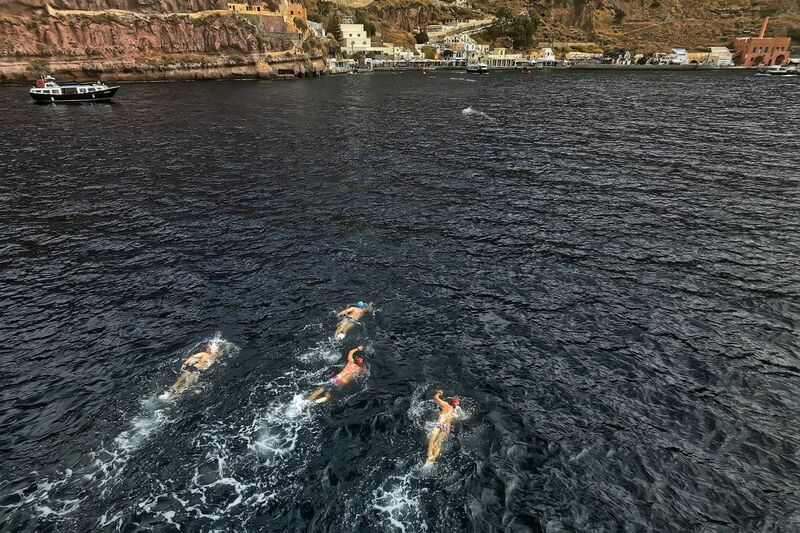 It is noted that the open water swimming races of “Santorini Experience” will take place with the approval of the Hellenic Swimming Federation, in accordance with FINA’s safety rules. 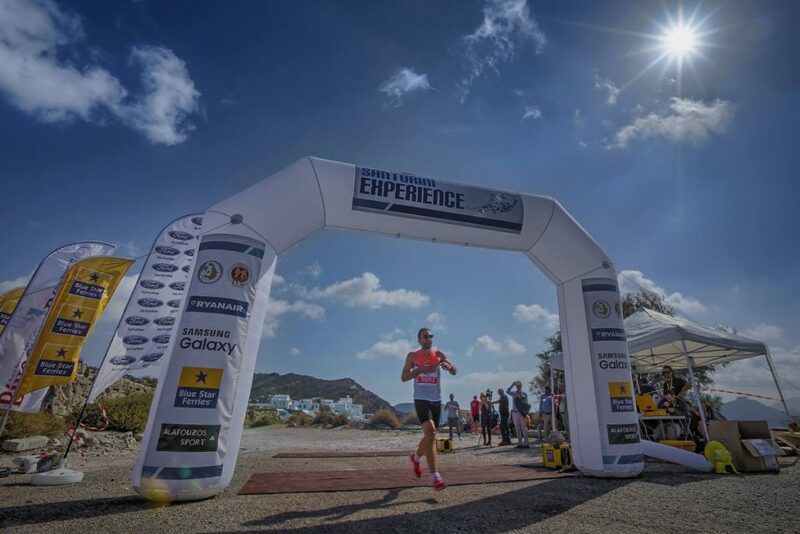 “Santorini Experience” is a co-organization of Municipality of Santorini, Municipal Sports Cultural Environmental Organization of Santorini (DAPPOS) and Active Media Group. The event is held once again under the auspices of the Greek National Tourism Organization. For more info, press here.